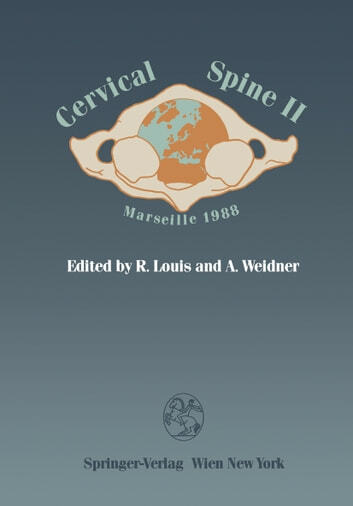 The second common meeting of the European Section and the Cervical Spine Research Society took place in Marseille (France) from June 12 to 15, 1988 and was organized by Rene Louis. More than 130 specialists from every part of Europe, from America and Asia participated, representing, among others, the fields of Orthopedics, Neurosurgery, Traumatology, Neurology, Anatomy, Rheumatology and Radiology. This meeting again was convincing proof of the growing interest which exists in Europe in research into injuries and diseases of the cervical spine. The main topics of this meeting were the subluxation of the lower cervical spine (chapter 1) and the infectious diseases of the cervical spine (chapter 2). Chapters 3 and 4 of this volume deal with degenerative lesions and the upper cervical spine. In chapter 5 experimental reports are presented, so that a good synopsis is provided of our present state of knowledge of diseases of the cervical spine. The European Section of the Cervical Spine Research Society was founded by Mario Boni in 1984, who unfortunately died in 1986 and was proclaimed Honory President of the European Section. There is a European meeting every summer and one every three years with our colleagues from the United States of America, Canada and Japan organized in Europe. The first combined meeting was organized by Pierre Kehr in Strasbourg (France) in 1985 and the presented papers were published in Cervical Spine I (Springer, Wien-New York, 1987).